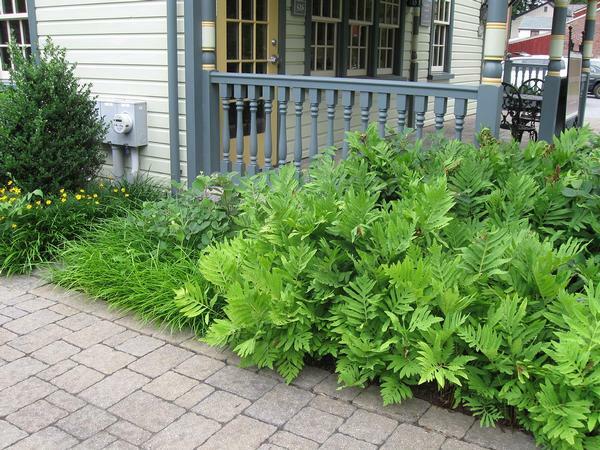 The soothing green foliage of this rambling fern make it an excellent Groundcover for a Wetland or wet Shade Garden. In appropriate sites, Onoclea sensibilis matures into a verdant and soothing Mass or Border. 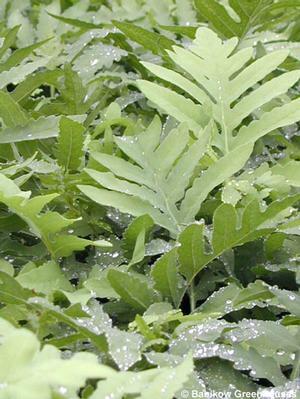 This fern can control erosion and is a valuable component of Deer Resistant Plantings, Low Maintenance Plantings, Rain Gardens and Wetlands. 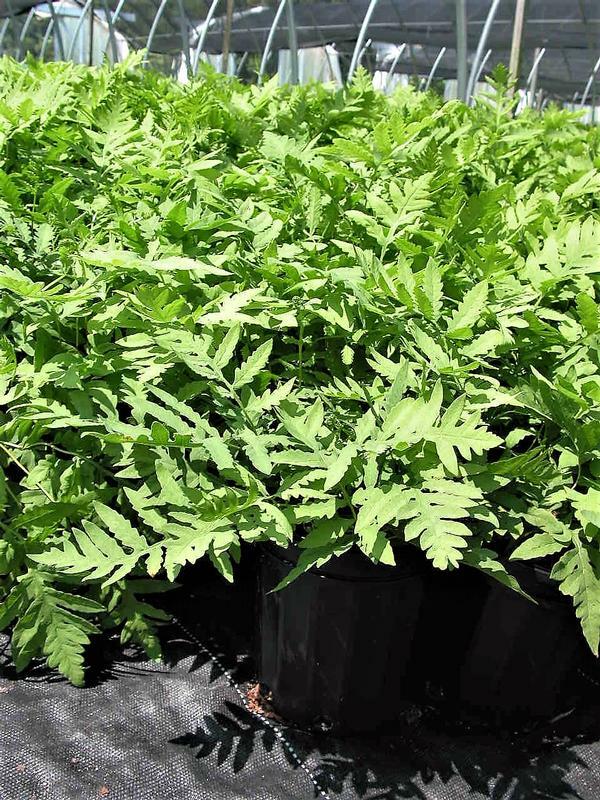 Onoclea sensibilis is a rambling pinnately lobed fern with soft green sterile fronds. Fronds are deciduous often turning bright yellow before disappearing for the winter. Spores are enclosed in bead-like coverings and are borne on separate upright fertile stalks. Forms colonies in rich boggy or moist loamy soils in shade or part shade.